Tinkercad Heads to South Africa! It’s Sarah from Team Tinkercad here. I wanted to take a moment to share with you a very exciting program that I will be a part of over the next few weeks. I am not going to lie, I love Tinkercad and the community of users that are dedicated to sharing this program with everyone all over the world. Now, I actually get to do that with a group of kids, makers and educators in South Africa! Starting on August 1st, Autodesk and Team4Tech volunteers will train teachers and administrators in Khayamandi Township, near Stellenbosch, Western Cape, South Africa. Khayamandi’s 35,000 residents live in an area of informal housing and historically have had low economic and education opportunities. 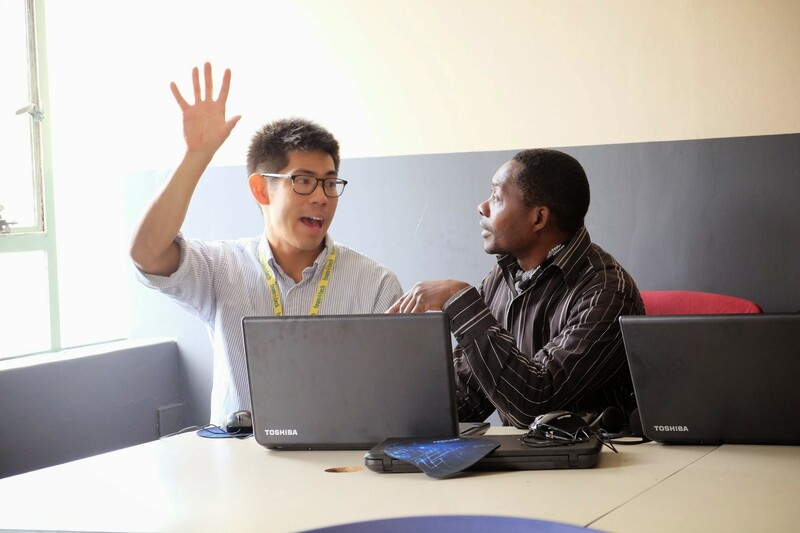 In partnership with Greater Stellenbosch Development Trust, Autodesk volunteers will train 40 teachers in computer skills and 21st century education methods. The project will help define and provide educational software and hardware specific to the needs of the program and schools. Volunteer efforts will include developing and delivering training appropriate for the target audience and adding new capability by preparing new computers, software and related equipment for classroom deployment. Through our work, we will enable teachers to use computer technology to teach academic subjects using 21st century education techniques, including enabling STEM (science, technology, engineering and mathematics) education, and incorporating teaching approaches such as design thinking and project-based learning. The program delivery will be conducted over a two-week period, with classes delivered at Makhupula High School. Team4Tech is a community of technology professionals dedicated to improving the quality of education around the world. Peter D. Penguin will be traveling with me and we promise to make you laugh and ask you to give us advice along the way! More to come in the next few days! Next Community Challenge: Penguin Movie Posters! Hey Sarah! Great to hear about your trip to South Africa!!! In my world, the World of San Francisco Trade Unions, South Africa is a very special place. The ILWU-the International Longshore Warehouse Union, especially is attached to South Africa, because it is largely due to their refusal to unload cargo from Apartheid Era South Africa, that the anti-apartheid movement gained international momentum. The president of Local 10 in San Francisco showed me the video clips he took while he attended Nelson Mandela’s funeral, and The Nelson Mandela apartments in Oakland bear testimony to the strong bonds between the Bay Area and South Africa. Nelson Mandela came to Oakland personally for a large assembly to express his gratitude personally to the Longshore Workers of the Bay Area…You tell all my brothers and sisters in South Africa, that, Krasherox, looks forward to seeing their designs…and if there’s any way I can help them on the road to tinkering, I look forward to hearing from them! I hope to be able to make a design to commemorate Tinkercad’s visit to South Africa, and express solidarity among Tinkerer’s all over the World!!! PS-Don’t they have tons of Penguins in South Africa? I mean they’re way close to the South Pole, right? Just posted a simple design called ‘Isihlangu,Iklwa, and Iwisa ‘ on Tinkercad…really can hardly wait to meet with South African users and see their designs!!! !Sarah please convey our warmest welcome to them!!! I have fabric snipers from Africa for your penguin friend. Ask your friends,Sarah, at Autodesk to change the penguin stl. associated jpg. file to a local Africa pattern file in 123: in lieu of penguin ‘formals’. My bad maybe your school events are that formal…You San Frans understand Regionalism better than most…. Or make African fabric kimonos for the kids to dress your penguin with. Just an interactive thought as culture appreciation.